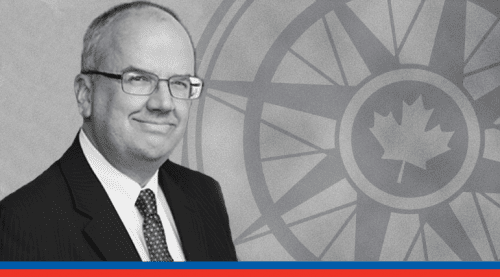 OTTAWA, Dec. 11, 2014 – The Supreme Court of Canada cast a long shadow over the debate about public policy in 2014. 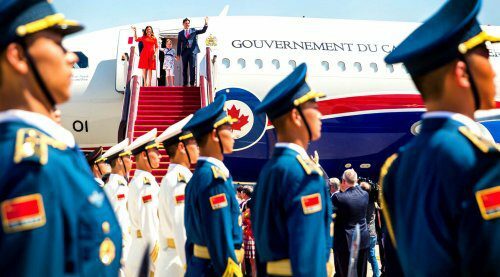 Now it steps into the spotlight in the latest edition of Inside Policy, the flagship magazine of the Macdonald-Laurier Institute. 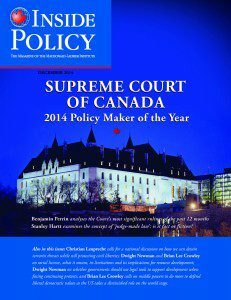 The cover story, written by MLI Senior Fellow Benjamin Perrin, declares the Supreme Court the “Policy-Maker of the Year” for 2014. Perrin examines 10 of the Court’s most significant cases and finds that the past year was unusually significant – both in the Court’s influence on public policy and its relationship with the federal government. 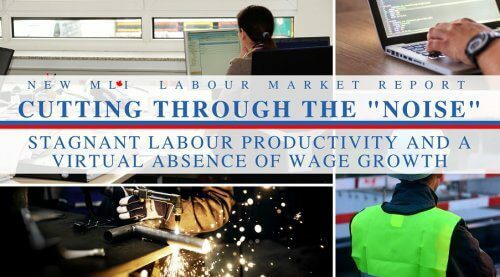 The article is based on Perrin’s recent MLI research report on the subject for MLI. Stanley Hartt, meanwhile, probes the questions surrounding “judge-made law” in Canada. Does it exist? Should politicians be less ambiguous in writing the laws? Are they purposely leaving laws vague to avoid having to take a stand on thorny issues? 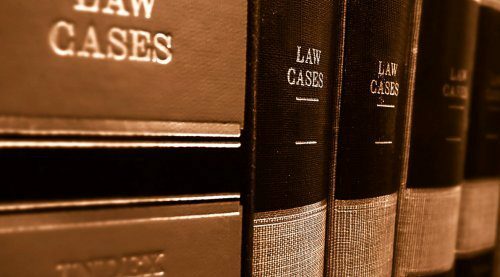 “Do judges really think they are making law when they see legislative enactments through the lens of their personal perspectives?”, Hartt writes. “The evidence appears to be to the contrary”. MLI author Christian Leuprecht argues for a greater emphasis on public safety to prevent a repeat of the terrorist attacks that rocked Canada earlier this fall – even if it means less of a focus on individual rights. 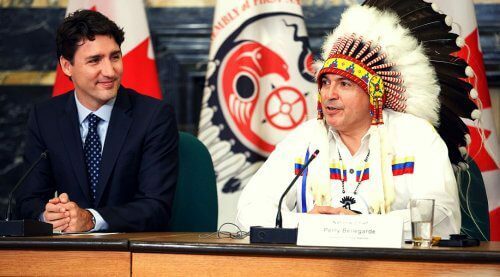 MLI’s newest Senior Fellow Dwight Newman calls on Canadian governments to summon the political courage to use their considerable legal tools to support development rather than allowing dissident groups to prevail. Newman and MLI Managing Director Brian Lee Crowley examine how protesters are exploiting the term “social licence” and, in the process, undermining democracy and the rule of law. In another article, Crowley says it’s time for the world’s middle powers to unite around a common commitment to democracy, freedom and the rule of law. If you’d like to buy a print copy or subscribe, click here. To read back issues of Inside Policy, click here. Inside Policy, edited by James Anderson, is published six times a year. 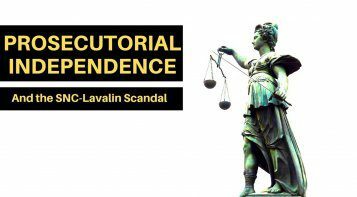 The Macdonald-Laurier Institute is the only non-partisan, independent national public policy think tank in Ottawa focusing on the full range of issues that fall under the jurisdiction of the federal government. For more information, please contact Mark Brownlee, communications manager, at 613-482-8327 x. 105 or email at mark.brownlee@macdonaldlaurier.ca.